By late 1995, it was all too clear the project to build Australia’s new submarines – started with great fanfare in 1987 – had run into serious problems. Although the first vessel, HMAS Collins, had been launched in August 1993, it was nowhere near ready for service and would eventually be delivered to the Navy in July 1996, 18 months late. Cabinet papers for 1994 and 1995, released by the National Archives of Australia at the start of 2018, show the government of prime minister Paul Keating had kept a close watch on this project, requiring reports on progress every six months. Considering Australia had never constructed a submarine before, and not that many surface warships, problems with a project of this complexity were seemingly inevitable. A progress report to cabinet in September 1994, covering the first six months of the year, featured a full revision of the schedules for production, trials and delivery of all six submarines. Of the growing number of issues, the most significant, and ultimately most intractable, was the computer combat system. “Difficulties in this area have continued and, despite the application of substantial additional resources, the delays encountered to date are no longer recoverable,” cabinet was told in 1994. So difficult was getting the combat system to work properly, HMAS Collins went into sea trials with such minimal capability that it was really only demonstrating it was a “submarine platform”. Trials did not go at all smoothly. The report considered by cabinet on 10 November 1995 and covering the six months to 30 June 1995, noted that on returning to Adelaide after her first escorted under-way dived trial, HMAS Collins lost her anchor in heavy seas. It also lost propulsion while manoeuvring to her berth and collided with the ASC ship lift and also with submarine rescue ship HMAS Protector. That required replacement of her damaged sonar dome. On the plus side, the $5 billion project costs remained on track with 1987 calculations. They never did vary, despite widespread belief of major cost blowouts. What did add to the overall cost was the extensive remediation, including a replacement US combat system. 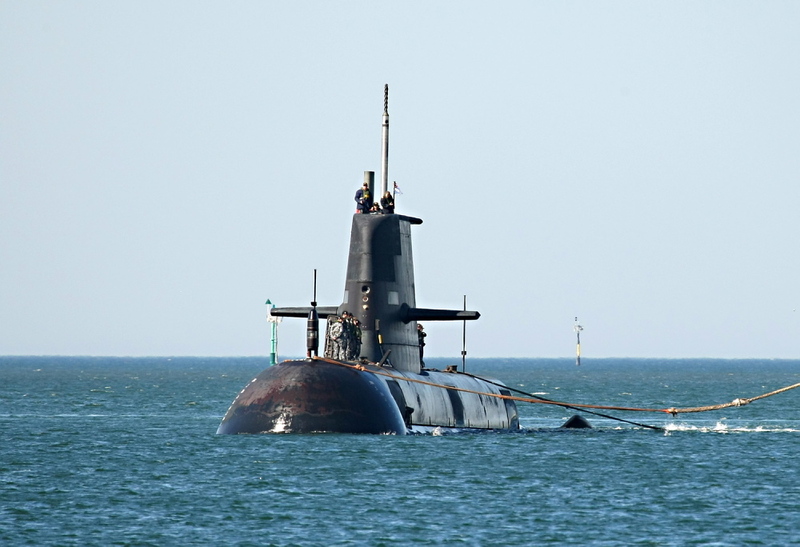 While the project’s many problems were widely known and were being addressed inside defence, they did not become a public scandal until 1998 when the Sydney Daily Telegraph ran a story headlined “Dud subs”.